I’m going to get personal for a moment. I have an ambivalent relationship with the word banshee. My partner’s younger brother, Matt, and I always watched horror movies together. I often introduced him to movies such as The Evil Dead. As he got older, he introduced me to many movies, too. One of our favorites is The Night of the Creeps. In that movie, a character says, “Screaming like banshee.” He and I would say that to each other or just randomly text it to each other or leave it in a note. We always laughed all over ourselves over dozens of stupid things. Two years ago, he passed away at just 25 years old. 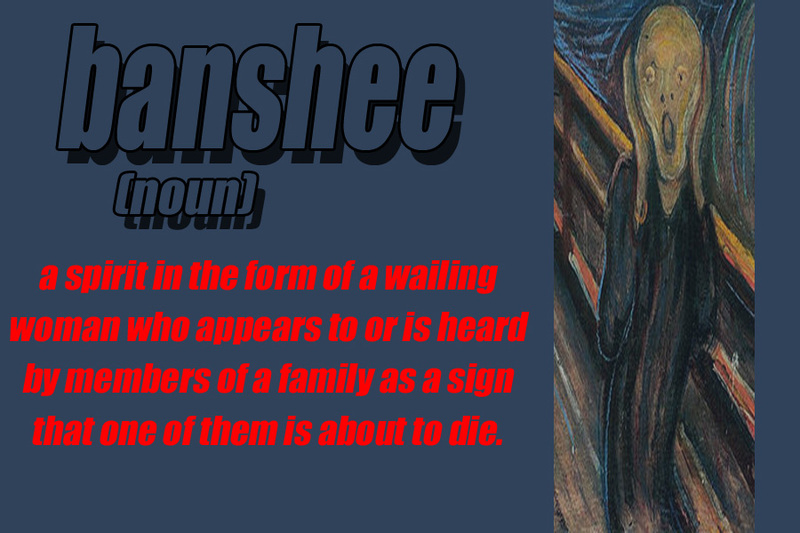 Since he passed away, the word banshee has been one that has changed for me. For a long time, the smile it brought faded, and the word felt like its original meaning, a menacing warning of loss. Recently, I’ve been able to see the word and remember the phrase and smile again at the memory of what we shared in our close bond. The sentiment we place on words—in fact, our relationship with them—changes over our lives. Words are powerful because they often represent so much more than just the meaning they convey. They can be a time capsule, a place holder, a treasure trove of memories. When people hear the word banshee, they think of the mythical creature, but for me, the mythology is a personal story of happiness, loss, and fond memories. Powerful message. One writers should absorb. Thank you, Rebecca. I’m delighted you enjoyed it.